Calling time on life as an MP and minister Jump to media player Former Paymaster General Dawn Primarolo and ex-sports minister Hugh Robertson on standing down from Westminster. 'Clanking my chains from political grave' Jump to media player A former MP describes "clanking my chains from the political grave" whenever he left his home after losing his seat. The longest-serving political leader in UK Jump to media player Howling Laud Hope is the UK's longest-serving political leader but has never won an election or saved his deposit. Remember when Lib Dems won by-elections? Jump to media player The Lib Dems are no longer seen as the the party of protest and are now more likely to lose a by-election deposit. Why stand as an election no-hoper? Jump to media player Most by-elections have a raft of candidates who have no hope of winning, or even saving their deposit. The curtain will come down on a number of political careers when Parliament is dissolved later this month, ahead of the general election in May. There are at least 86 MPs - including 17 former cabinet ministers, 36 Tories, and 37 Labour MPs - who know they are leaving, as they have chosen to stand down. 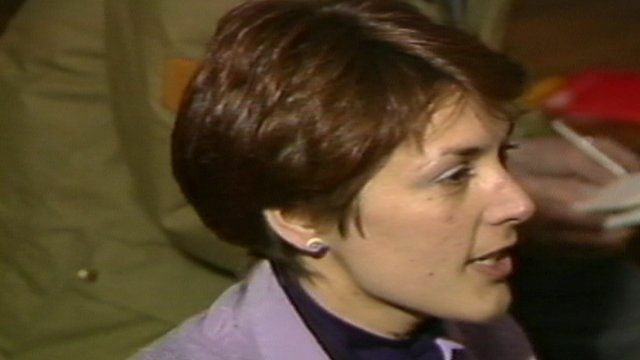 In a Daily Politics film, Ellie Price spoke to former Labour Paymaster General Dawn Primarolo, and to Hugh Robertson who served as a Conservative sports minister, about knowing when it is time to go.